This Summer, two of our favorite books and NYT best-sellers are being made into feature films: “The Help by” Kathryn Stockett and “Sarah’s Key” by Tatiana De Rosnay. “The Help” opens in theaters nationwide August 10th and “Sarah’s Key” has no specific release date yet. 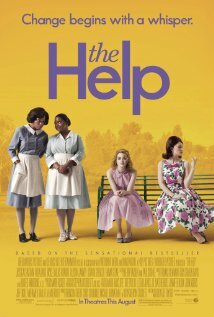 “The Help” is set in Mississippi during the 1960s, Skeeter (played by Emma Stone) is a southern society girl who returns from college determined to become a writer, but turns her friends’ lives — and a Mississippi town — upside down when she decides to interview the black women who have spent their lives taking care of prominent southern families. Aibileen, Skeeter’s best friend’s housekeeper, is the first to open up — to the dismay of her friends in the tight-knit black community. 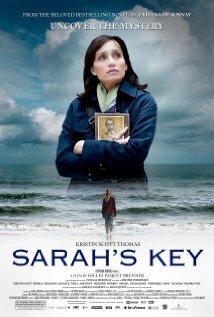 “Sarah’s Key” starts in modern-day Paris, where a journalist (Kristen Scott Thomas) finds her life becoming entwined with a young girl whose family was torn apart during the notorious Vel’ d’Hiv Roundup in 1942.